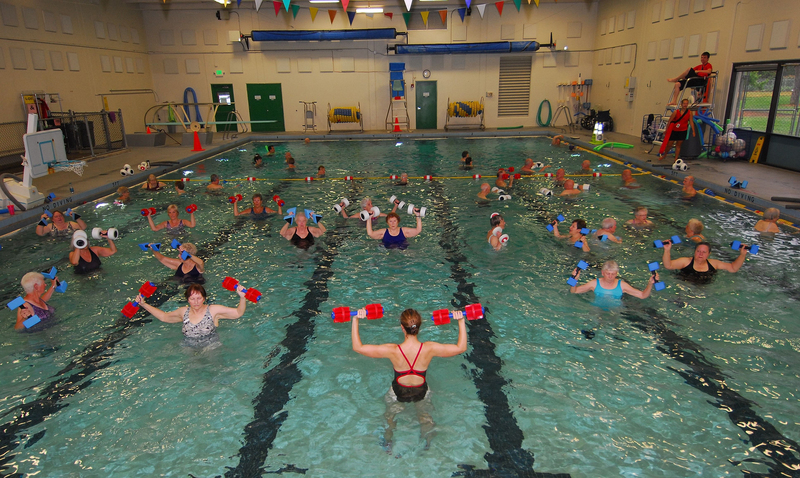 We offer a variety of water fitness levels at Harman Swim Center that will meet everyone's needs! 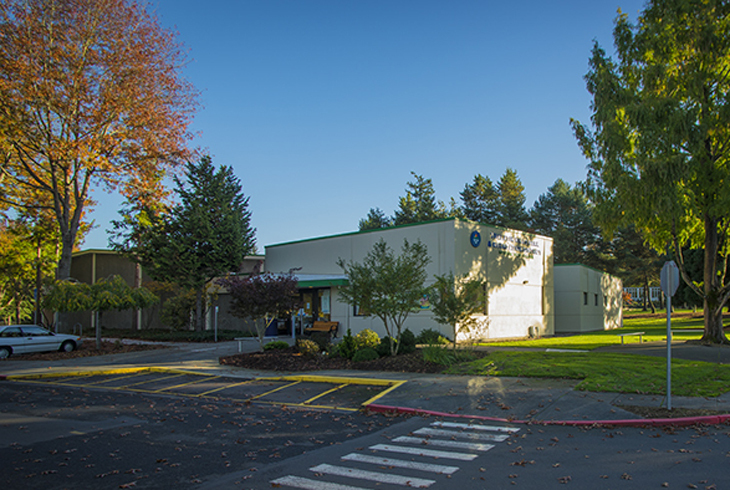 Harman Swim Center is conveniently located near Washington Square, on Scholls Ferry Rd. Our six-lane pool is 25 yards long. Water is heated to 88-89 degrees, allowing us to offer a wide range of programs to visitors of all ages. We proudly offer American Red Cross swim lessons year-round for children (6 months and up), teens and adults. Harman Swim Center, located near Washington Square and the Red Tail Golf Course on Scholls Ferry Road, offers a wide range of aquatic programs. Come join Harman Swim Center for free open swims all day EVERY SECOND SATURDAY of each month! Lap swim, open swim and family swim are offered daily. Since Harman's water temperature is kept at 88-89 degrees, this allows us to offer a wide range of lessons and water fitness activities for guests of all ages. Harman Swim Center offers a special aquatic program under the Therapeutic Recreation called Healing Waters. 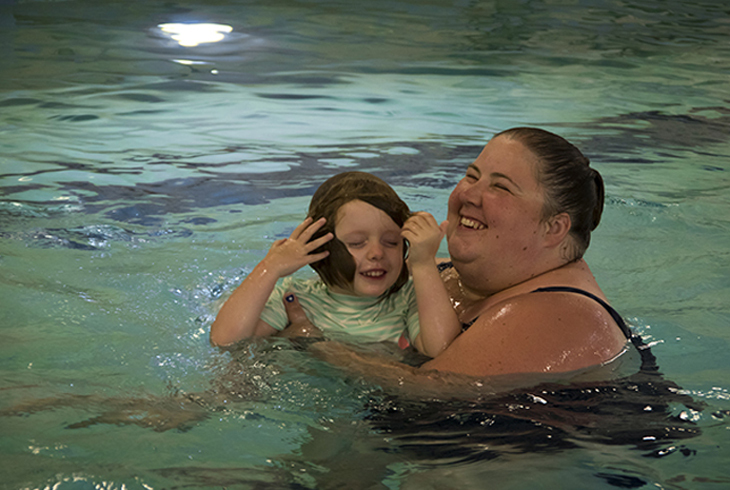 Healing Waters is a drop-in water exercise program that provides an opportunity for people with mobility issues to have access to a warm water pool program to support their fitness. Participants may be working on maintaining fitness to support their daily activities, rehabilitating from an injury or surgery, or preparing for/recovering from a joint replacement. Physical therapy patients may utilize our program for their PT exercises as they work with a therapist outside of our program or after being released from therapy. While participating in the program, participants have guidance and support from the aquatic specialists and trained volunteers in the pool. Grab your passport and use it during any open swim from May 1-31 at any of our six swim centers to collect Finn stickers and earn fantastic prizes. 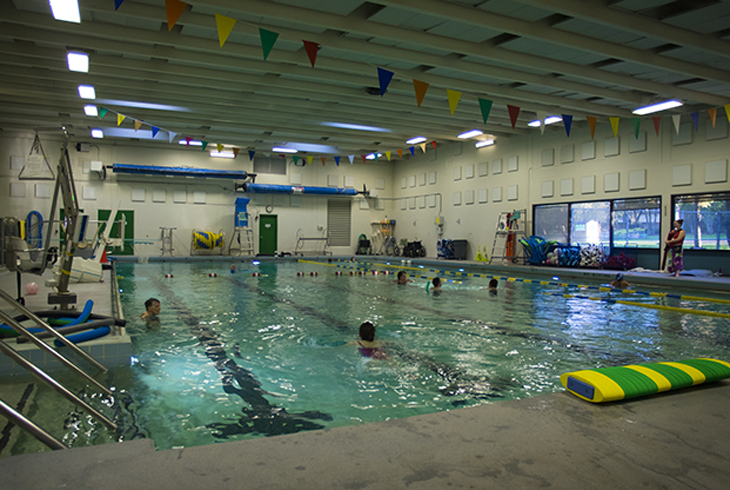 Visit all six centers, and you could earn a free swim lesson session for the summer season. Register for your passport before Friday, April 19, and you will get EARLY ACCESS. Early access gives you a one-week jump start before everyone else, and you can also get special bonus deals throughout the month of May. Deals are held to the Early Access Passport holder only. Passport must have early access sticker on it. * Drop-in activities are subject to change without notice. Please call appropriate center to verify activities and times.